Kay Ryan Booth has been a highly successful senior executive on Wall Street for 40 years. At Trinity Private Equity Group, Kay is the co-manager of its Fund II and Fund III and is in the process of closing Fund IV. Since January 2013, Kay serves as a Director and Trustee of the Prudential Insurance Funds Board that oversees more than $160 billion in investment portfolios of Prudential Financial’s annuity products. Prior to her involvement in private equities and corporate boards, she served on various financial advisory boards such as the Financial Accounting Standards Advisory Council for the F.A.S.B. and served on the Board of Governors at the C.F.A. Institute, chairing its Audit and Risk Committee and on the Nominating Committee. 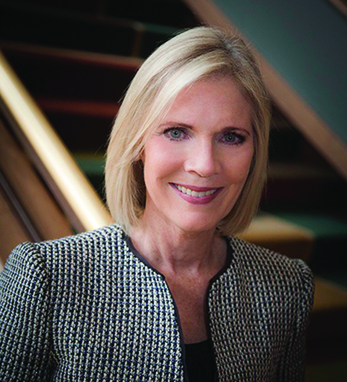 At Indiana University she serves on three boards and became the university’s first female chair for the Foundation’s Investment Committee. Ms. Booth is also a board member and committee chair for other not-for-profit organizations. Married with two children, Booth traces her heritage to counties Kerry and Kilkenny.